Let it roll for about 45 min. and put some probes in to see what was going on. Pulled it at 190 IT. It came out very nice and juicy....sorry no plated pictures. Served with taters and green beans. Then we decided to try some desert. 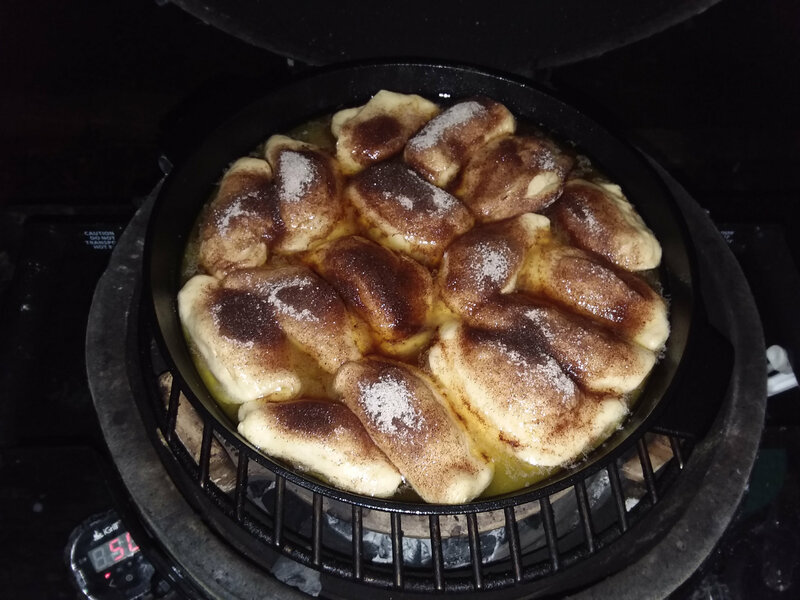 Made apple dumplings in my new BGE 12" CI. Cooked these at the same temp 375. 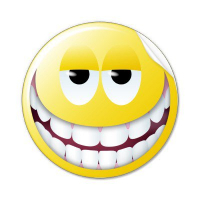 About 15 min. after this picture was taken they were all browned up nicely and devoured. Can not make theses too often. I was surprised how well these new cast iron pans performed. Both of them new, pre-seasoned, and all I did was clean and cook them off before this cook. I bought them for the MM because there is not much room for a pan with an handle. All looks good to me! I may have to get a MM to use away from home in Boone! Looks great, meatloaf on the egg is amazing and your dessert looks tasty! One of my favorite cooks on the egg! Nicely done. For those of you that make meatloaf directly on the rack (on foil), does it come out dry? I have always done in pan. I've only made without a pan (I used a veggie grilling tray), but I definitely do not find it dry. I do like the additional crust. For the OP, great-looking grub. 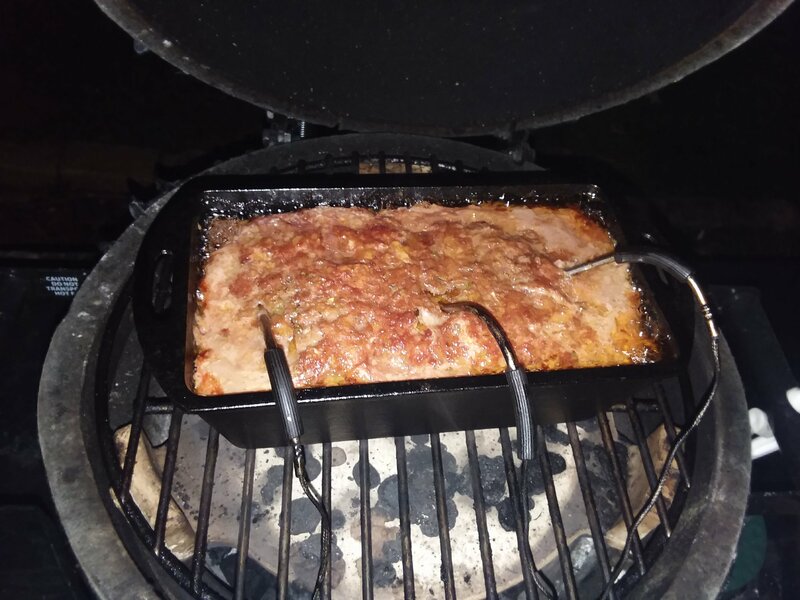 Meatloaf is one my favs on the BGE. I did a meatloaf cook with two smaller loaves, one in the pan and one on the cast-iron grate, flat-side up (no foil). 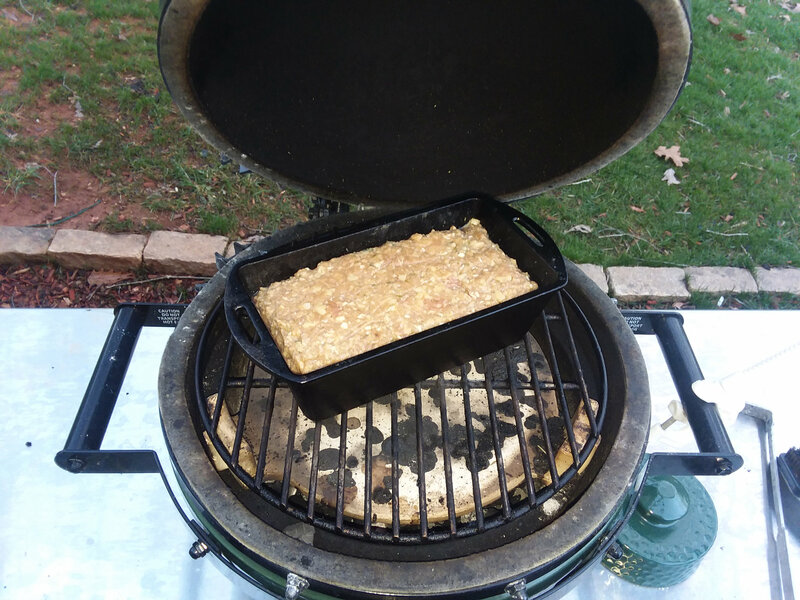 The panned loaf was moister, the naked loaf had more crust and more smoke flavor. They were both delicious and I couldn't pick a favorite. ^^^ I'm a big help, huh. I’ve always done it without the pan, cause that’s the way I did it in the oven prior to getting the egg. I guess it could dry out if your recipe doesn’t have enough fat. I never have a problem with it being dry. Here is a recipe from Alton Brown I like a lot. 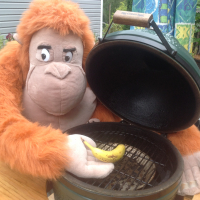 It is designed to cook without a pan. Looks outstanding. Did it take on a smoke profile? When i I cook in cast iron, I usually dial the temp back a little.....let her cook a little longer. Man Spence, That looks like it's worth eating! 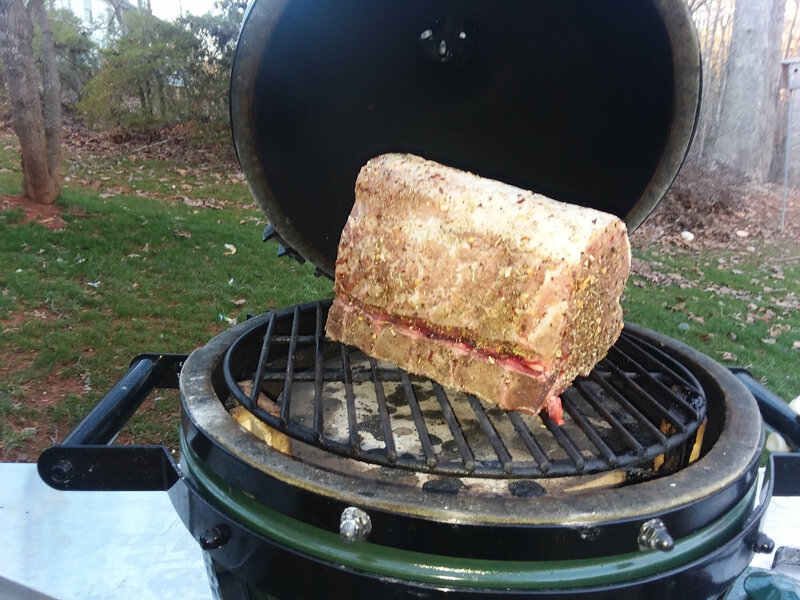 Thanks for the input guys....it took a while for the fat to burn off the top of the meat loaf. Once it started to pull away from the CI and had a crust on it I pulled it. It still had that melt in your mouth (giggle) feel to the middle of it. It did take on the smoke for it took me almost 1 1/2 hours to cook. Had a nice smoke ring actually. Put 5 slices of bacon on the bottom of the pan....it was as crispy as the top. It was not perfect, but gives me motivation to try again. 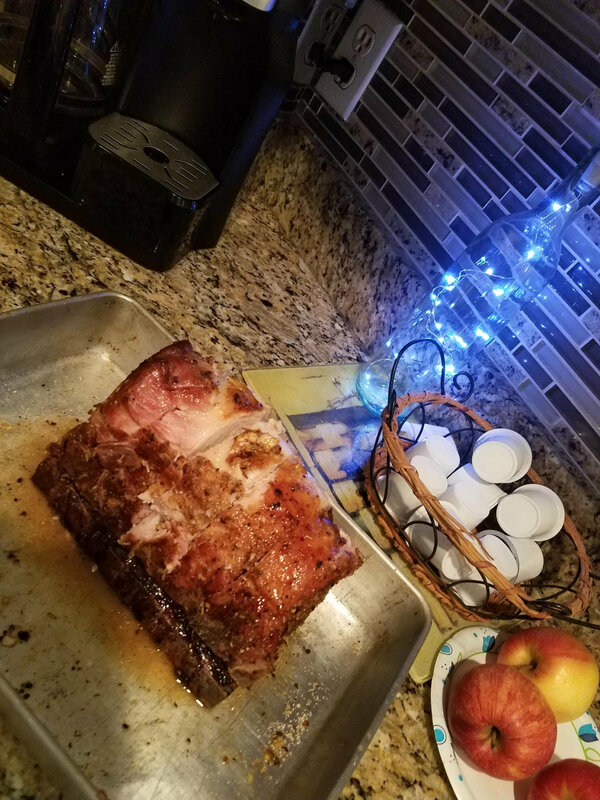 Went to a new butcher shop, they had bone in Rib pork roast.....this was $5.80 total. Did not trim or cut anything or tie anything up. Cooked about 2 hours at 250. Pulled it and let it rest for a while. No plated pictures but it was great as well. Finished it off at 400. Salt Pepper Garlic and italion seasoning Pulled at 140it....... let it rest. It was really good. Cooked on the Mini Max. Actually have another one of these to cook......looking forward to it,=.